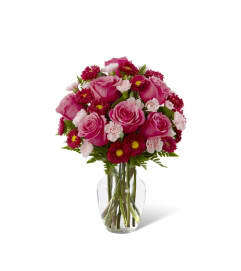 The FTD® Cottage View™ Bouquet has a sunlit, cozy styling your special recipient will absolutely adore! 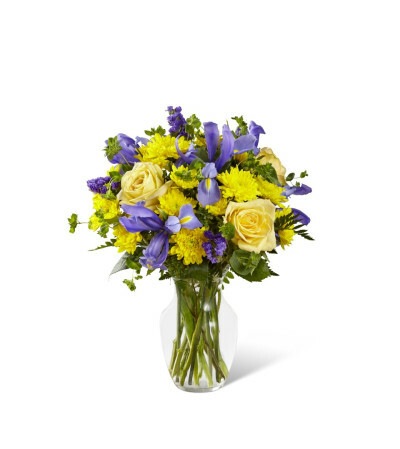 Blue iris and blue statice standout amongst the bright yellow hues of roses and chrysanthemums, accented perfectly with lush greens. 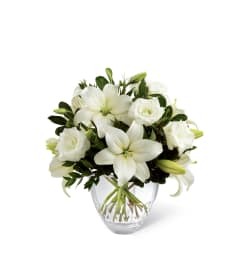 Presented in a clear glass vase, this gorgeous fresh flower bouquet is an uplifting gift that is set to create a simply wonderful thank you, thinking of you, or get well gift.